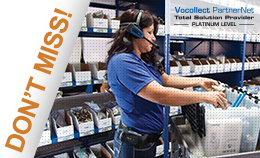 Learn how 3PL GENCO achieves meaningful business results with Speech Interface Design's Voice3PL Voice Picking Solution. GENCO leverages the value of Voice Picking Solutions in more than 8 facilities, a variety of industry verticals and for multiple picking applications; all yielding real 3PL results. Click here to RSVP today to learn how Voice can deliver these same results to your operations.